World Street Food Congress (WSFC) which started in 2013, was created by heritage and street food maven KF Seetoh of Makansutra. 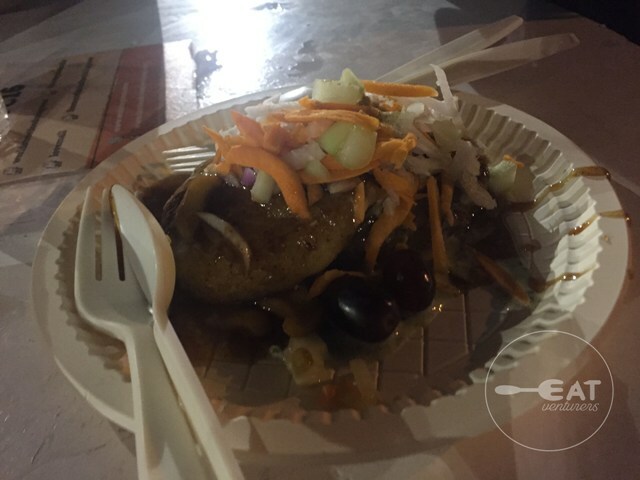 "The World Street Food Congress looks into the space of what heritage and comfort street food culture can provide and serve, like Culinary Tourism, Skills and Education, Social Enterprise, Entrepreneurism, Trade, Professional Services, Media, Preservation, History, Heritage and Continuity and even Commercial Opportunities," its description read. 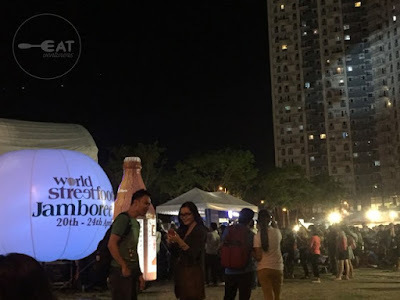 Among the highlights of the WSFC 2016 is the WSFC Jamboree Food Spread, which basically is a food festival featuring 24 Street Food Masters from up to 10 countries. They showcased cooking demonstrations with live music of local bands on the background. Of course, The Eatventurers could not pass the chance of trying this as it is the first time it happened in Manila. Sharing what went down during WSFC Congress held at the Bonifacio Global City. Prior to visiting the WSFC, we researched about the event and learned that there are 25 top street food chef, vendors and hawkers from India, China, Indonesia, Malaysia, Vietnam, USA, Thailand and Singapore. We also researched its schedules and recommended dishes to try. First day of WSFC was a failed attempt for us. 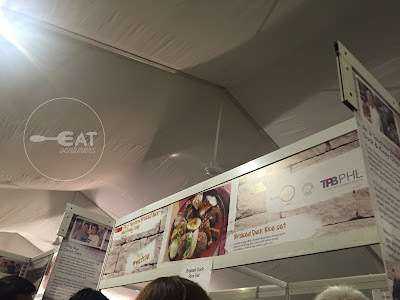 Since it was well-advertised in media, social media and blogs, several food enthusiasts and curious cats trooped over BGC to experience it themselves and the long line just made us give up. 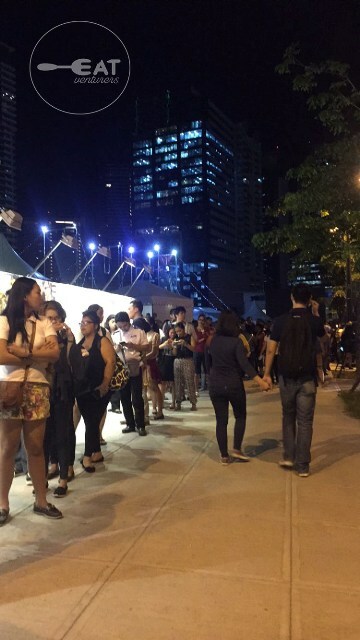 We could not even see where the line starts since it was too long that it reached BGC Forum. Good thing, we got to watch Up Dharma Down perform from not so distant area while trying to look for the line. Just a portion of the long line. Hassle. Despite the rants of people running out of food and being barred from entering the venue from the previous day, we strategically planned our second attempt and easily entered the venue on Day 2, which happened to be a Thursday. We initially promised that if we didn't get in that day, we would no longer try to go because we predicted that the weekend would be more jampacked. 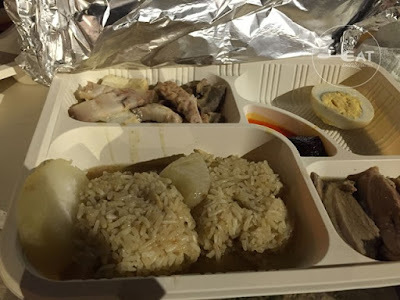 Miguel first entered the venue and ordered Kway Chap Set or Duck set by Jin Kway Chap priced P200. It took him almost an hour to order. Rosette followed at 6:00-something in the evening. Unfortunately, the duck set was not worth the wait and somehow disappointing because its taste was nothing special. We commend the tenderness of the duck and the taste of the chili paste (somehow like our local bagoong) but the rest was not worth it. Even the price of the food inside the jamboree failed to amuse us because most are expensive with price ranging from P150 above, bottled water costs P50. The second dish we tried was Aloo Chop or what they call an Indian version of a bergedil (Malay’s potato patties) or French potato croquettes. WSFC's website said it is a typical fried snack (telebhaja) for the Bengalis, made from a mixture of potatoes, turmeric powder, chilli powder, masala podwer and ginger garlic paste. The patty is then deep-fried to crispy perfection. This one satisfied us. Although it's still not that worth it for its price of P150, it is delicious and actually sweet. One can never go wrong with potatoes. The serving was small but we still liked it. 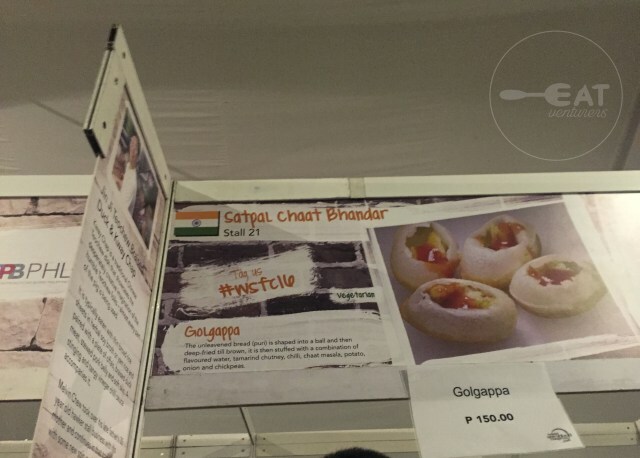 Another Indian dish we saw but didn't try was Golgappa, also known as panipuri. WFSC said it is a common street snack in several regions of South Asia. 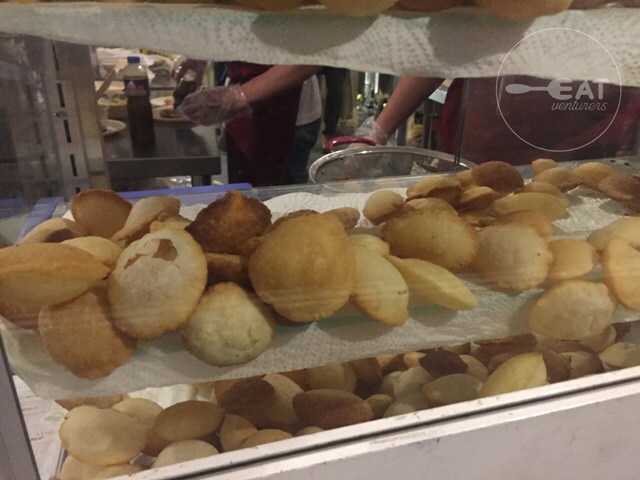 The unleavened bread (puri) is shaped into a ball and then deep-fried till brown, it is then stuffed with a combination of flavoured water, tamarind chutney, chilli, chaat masala, potato, onion and chickpeas. It is priced P50, if our memory serves us right. Since the lines are long for other countries' stalls, we decided to just roam around and observe cooking demonstrations. We were able to watch how Vietnamese traditionally made Bahn Xeo (Crispy seafood pancake). It was awesome how they cooked it in clay pots and pans while in costume, just perfect for the authenticity we're looking for. We are looking into trying other recommended food such as Bali, Indonesia's BBQ Ribs by Warung Street and USA's Churro Sunday by Churros Locos but we'll just try our luck next year. P.S. Watch out for The Eatventurers' blogpost on a place where you can also taste authentic Asian food, in case you missed WSFC.